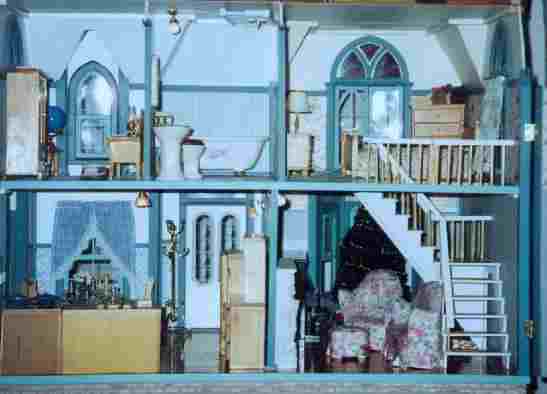 Here are some old pictures of a dollhouse Lisa made before Alex was born. 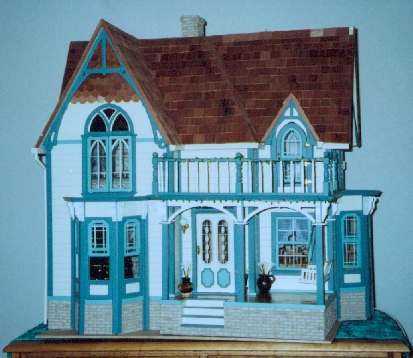 The dollhouse was made (mostly) from a kit, a Duracraft Heritage. However, I added a different deck, a new door onto the deck, a hinged back wall, personalized bricks, and other changes to the kit. There are four main rooms. Most of the furniture was purchased, but I made the pink couch, loveseat, and ottoman set from scratch. I also added Christmas decorations. 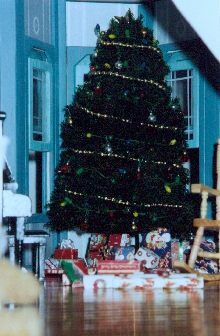 The tree, lights, ornaments, wrapping paper, and packages were made from scratch as well.